At the end of September I finally got a chance to go to a fabric store that I have been dying to go to for over a year now. 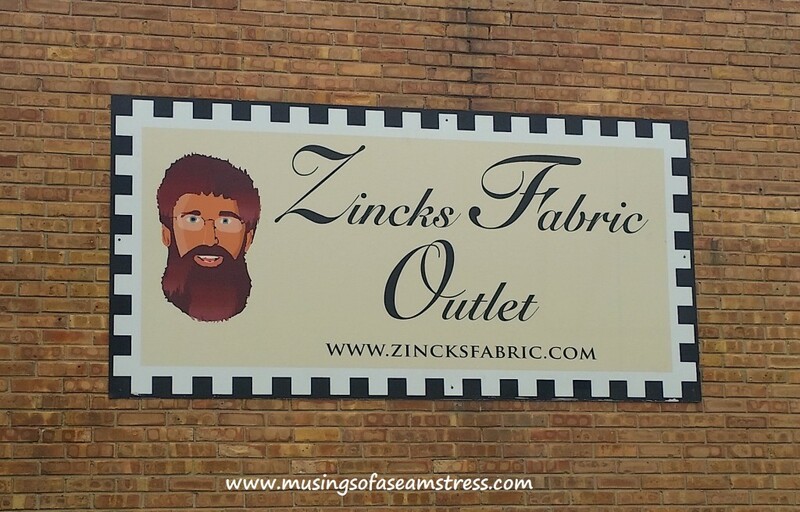 Zinck’s Fabric Outlet is in Ligonier on my way back to my hometown. It is about 2 hours away from me now. Every time Eric and I have gone back home over the last year I have wanted to stop there, but never have. We have either been coming through on a Sunday, when they are not open, or Eric is driving and he refuses to stop and aid in my fabric hoarding. I don’t blame him for that either. I mean, have you seen the size of my stash? Septembers purchases officially put me 5.5 yards in hole for the year, with a grand total of 103.75 yards purchased and only 98.25 yards used. Time to really get sewing in these last three months of the year. Let’s get back to the fabric goodness and ignore my hoarding addiction. Zinick’s is huge! 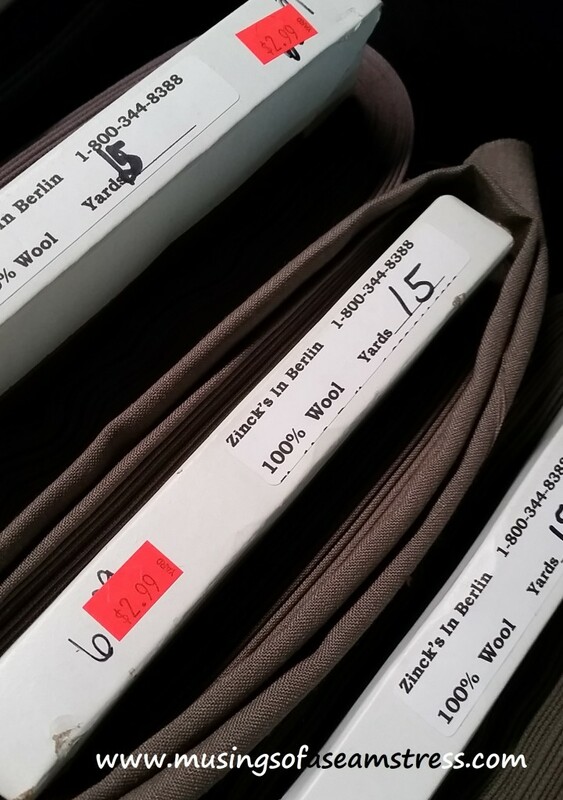 The store is located in close proximity to a large Amish and Mennonite population, so they do have a large selection of basic solid color wovens. However, that color organized wall above is all knits! Every color and shade in a variety of different knits. I may have went over this wall three or four times to make sure I saw everything. Then, when you turn around there are more printed knits, which is what the chevrons are, and a wide selection of printed chiffons. 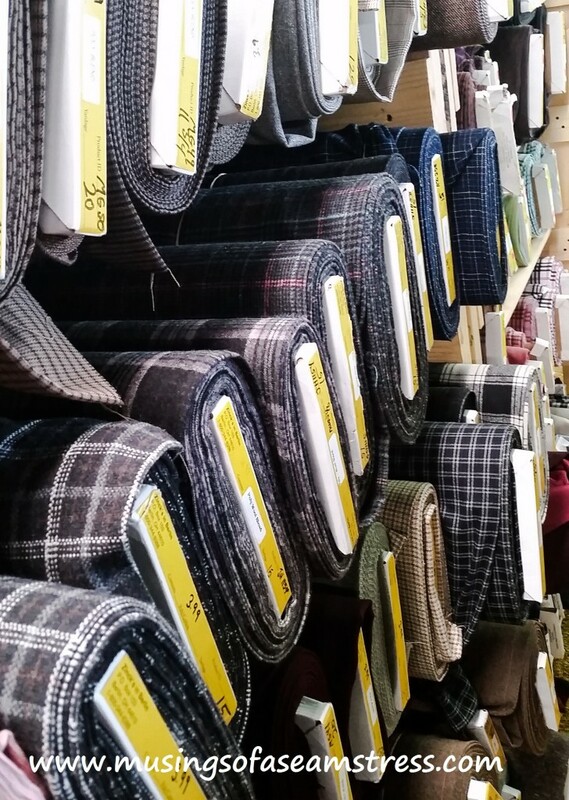 There was a glen plaid chiffon that I am now regretting not getting. I couldn’t picture what I would make with it, so I didn’t get it. Maybe I was too overwhelmed by all the awesomeness, because now I can think of several things that could be great with that print. They did have a small selection of sparkly fabrics, which included the matte black solid sequin above. With the population I mentioned earlier, this is just not the market for this kind of fabric. That being said, that 3.99 is the cost per yard! Umm…hello, that is a steal for solid sequins. I didn’t get any of this since I already have so much sequin fabric. It was hard to pass it up at that price though. It almost felt like I had to buy it, because you know, sequins. There was an entire wall of plaid flannels. Also, very very tempting, but I wasn’t sure of any upcoming projects that I could use it for. I passed on it for now. Most importantly, the 100% wool section. Do you see that red price sticker? You sure are reading that right, $2.99 per yard. Let me repeat that, 100% woo for less than $3 a yard! Sequins I can pass up at that price, but this…this must come home with me. This is all pretty lightweight wool’s with a crisp hand. Definitely not heavyweight coating fabric, but it will work great for a skirt or dress. 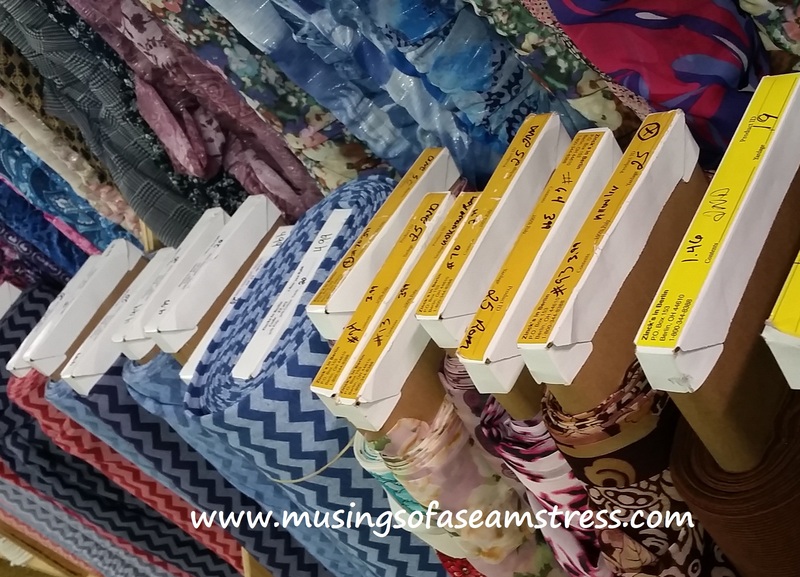 They also stock a very large selection of cotton quilting fabrics, including Homespun cotton prints, and a large selection of fleeces. I even saw some great stretch denim, but they only had black and bright pink, neither of which I could see myself wearing. At the front of the store are bins full of remnants that are all marked for under $2 a yard and bulk button purchases. Just over a quarter of the store was filled with drapery and home decor fabrics, including all the trims you could want to choose from too. Unfortunately, I didn’t get pictures of any of this, because I was too busy touching all the fabrics. Maybe next time. Are you wondering what I did buy? Well, I picked up two floral print chiffons at 3 yards each. The one on the left is a crinkle chiffon with gold thread and a fuchsia and black watercolor floral that was $3.99 per yard ($11.97 total). 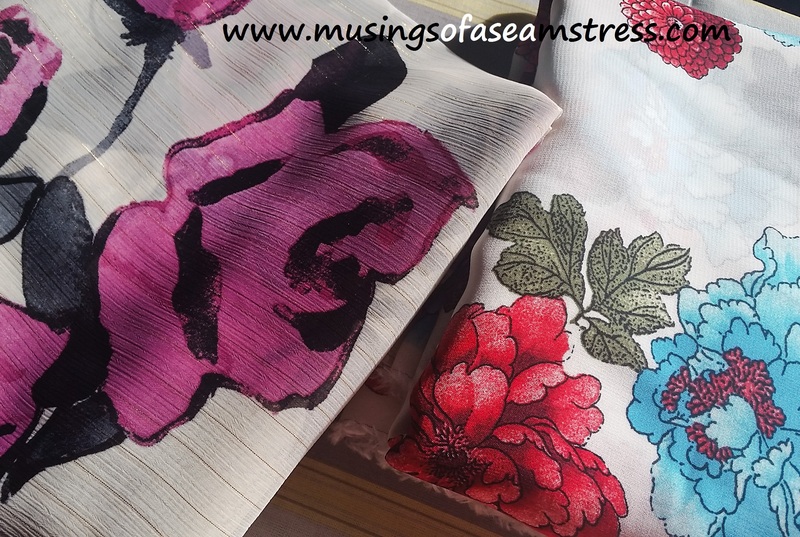 The one on the right is a tighter weave chiffon with a bright floral print that feels a little Asian inspired to me, for $2.99 per yard ($8.97 total). Great prices for great prints that will make great pieces in my wardrobe. Then there are all those knits that I spent so much time looking at. I picked up three different knits at three yards each. The first one on the left is a teal jersey for $1.96 a yard ($5.88 total) that is so incredibly soft I want to be wrapped up in it all the time. When they were cutting this one there was a small hole in it, so they did give me the option of an extra quarter of a yard or she could re cut it at the hole. I took the extra quarter of a yard because the hole is small enough I think I can work around it. I thought that was pretty awesome customer service of them to let me make the decision. The dusty lilac in the center is also a jersey knit for a whooping $1.99 a yard ($5.97 total). The blue on the right is a ponte knit for $1.96 a yard ($5.88 total), that has some tiny dye specks that are barely noticeable. I almost squealed when I found this one, though. Ponte is one of my new favorite knits and the color on this one is perfect. It is more of a steely blue, which did not translate well in this picture. In fact, none of the knits photographed well in terms of color. I foresee some new fall dresses in the next month or so. Lastly, I could not pass up the $2.99 a yard wool. I picked up three yards of this army green wool for a total of $8.97. That price is insane to me! Again this is not the true color in this photo. Silly camera phone. 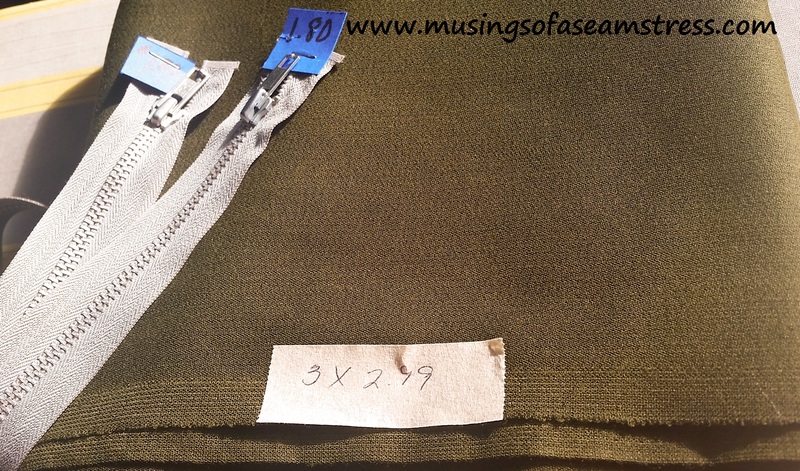 I also grabbed a couple of silver separating zippers to go with the wool. I think I either want to make some sort of moto jacket incorporating the zippers or a version of the Sewaholic Minoru Jacket. Which would you make? All in all they have some amazing prices. I am going to try to wash the knits here in the next couple of days and try them out, so I will let you know how the quality is once I make them up. Maybe pick up some of those plaid flannels and some more knits. The store didn’t have the best lighting. I had to take some bolts to other parts of the store to get a good idea of the true color. I am guessing the building was was built in the 50’s or 60’s based on the massive light orbs hanging from the ceiling, so I expected it to have pretty poor lighting. I wish I would have gotten some pictures of the orbs though. There were only two women working and they were very polite. I am definitely going to try to stop here again sometime. 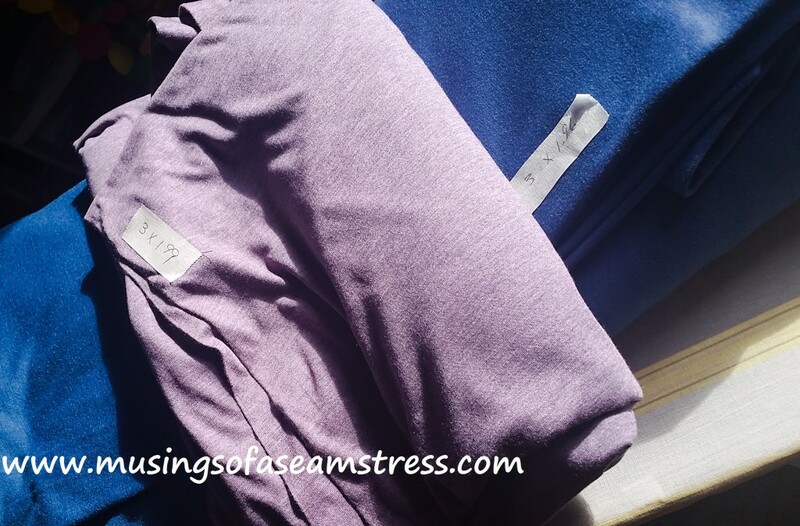 This entry was posted in Sewing and tagged fabric addict, fabric haul, fabric hoarder, fabric stash, Zinck's Fabric Outlet. Bookmark the permalink. Ohhhh I need to get sewing before NaNoWriMo starts! I can’t wait to see what you do with these! Oh my, I was in those parts this summer. Next time I’ll make the drive. I need to put this on my list next time I visit IA. Love that there are stores like this around. I went back this past weekend when I was up there. I picked up a couple more pieces. 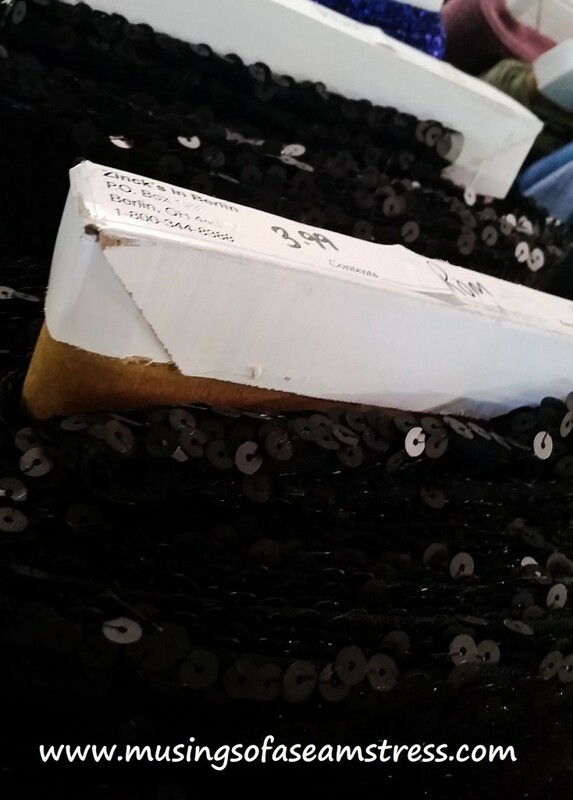 I am looking for about ten yards of medium weight White wool, can I order it on line and have it delivered? Great question! I am not sure of the answer, but I am betting if you emailed them from their website they could help you.